The GSA-3743 provides ultra-reliable interconnection for RF measurements with oscilloscopes. 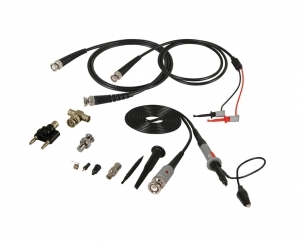 This unique kit is comprised of various BNC cable assemblies with gold plated contacts allowing it to be used with all popular instruments up to 1 GHz. The GSA-3743 comes with a convenient storage pouch.